After several months of spiriteddefense and denial, New Patriotic Party Member of Parliament for Assin Central, Hon Kennedy OheneAgyapong has finally admitted, President AkufoAddo’s “war” on corruption is an illusion as he says; “there is no incorruptible person in Ghana”. 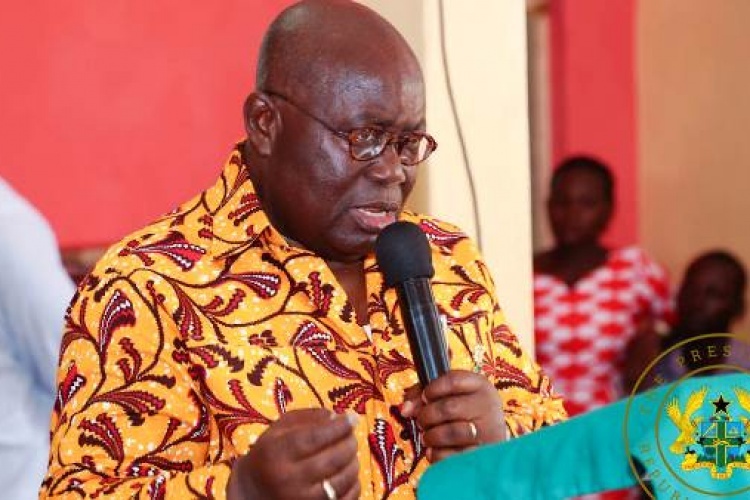 Perhaps, overwhelmed by the level of corruption in the ten-monthold Akufo-Addoadministration, the maverick politician has suddenlybacktracked on his long held view that there are incorruptible persons in Ghana, usually citing President AkufoAddoas an example. The loudmouth Assin legislature may not be the only one disappointed, asincreasing reported cases of alleged corruption in the infant Akufo-Addogovernment is forcing other admirers of the President such as former Moderator of the Presbyterian Church of Ghana, Rev Prof Emmanuel Marteyto openly express displeasurewith the President for reneging on his promise to fight the canker. Subtly reprimanding the president for remaining silent on the avalanche of reported cases of sleaze in his government, the unrepentant backer of MrAkufo-Addosaid, the NPP government has been less responsive to recent corruption scandals in the country. Whileboth Rev. Prof.Martey and Hon. Kennedy Agyapong have consistentlytouted President Akufo-Addo’s incorruptible credentials, that accolade appears waningvery fast following numerous scandalous revelations. AlhajiBature has on countless occasions pestered the Assin Central MP with claims that “all Ghanaians are corrupt, including himself who has carved a niche,making corruption allegation against persons he disagrees with. Until recently, Kennedy Agyapong has been among loudmouth politicians especially within NPP who believed not all Ghanaians are corrupt, an assertion he has defended to the hilt. However, when he was pushed to point out one person who in his opinion is incorruptible, Hon Agyapong gave up on his stance, almost throwing his hands in despair wondering how the canker could be stopped. Hon Agyapong,a close palof President Akufo-Addo, who has variously vouched for the president’s principled disposition, was this time unable to cite him (AkufoAddo) among persons not tainted with corruption when dared. Prof Martey, speaking at a recent public lecture on corruption in Kumasi said, though President Akufo-Addo presented himself as anticorruption crusader during the 2016 election, he is yet to prove his corruption fighting mettle after taking over the leadership of the country. “Let us not allow corruption in the system any longer especially when during the campaign he was seen as incorruptible whereas the other candidate was seen sitting down with a brother bribing somebody, giving cars and cash to tarnish the reputation of the opponent,” he said. The President’s anti-corruption accolade has further been punctured by his decision to sack the Director General of Criminal Investigations Department, COP Bright Oduro over what is believed to be his “handling” of the A-Plus and the two deputy chiefs of staff scandal. COP Bright Oduro’s second in command, ACP MaameYaaTiwaaAddo-Danquah, who was neck deep in the A-Plus/deputy chiefs of staff saga in an alleged attempt to conceal corruption, has been tasked to act as Director General of CID,according to a report in the Daily Guide newspaper. These happenings, many say, explains why Kennedy Agyapong and others are given up on President Akufo-Addo’s incorruptible tag, particularlyso, when he (Kennedy Agyapong) has accused some officials in government and at the Flagstaff House of corruption. The NPP MP early this year snatched headlines of many media houses when he alleged that some officials at the seat of government have been extorting $20000 from investors who want to see the President. He also launched scathing attack on Communication Minister, Ursula OwusuEkufful over alleged underhand dealings involving the award of contract to a foreign company for the yet-to-be rolled out printing of ID cards by the National Identification Authority.